Your home is one of your most valuable assets. Even if you still owe money on your home, you may be able to use the home equity that you do have to address other debts. For example, if you are struggling with high-interest credit card debt, you may be able to take out a debt consolidation second mortgage – effectively using some of the equity in your home to pay off your credit card. Should you consider a second mortgage for debt consolidation? Perhaps – but you must understand the loan types, alternative methods, and the pros and cons of each. There are two primary types of second mortgage, and it’s important to understand the difference between them. The language can be confusing. A traditional second mortgage is like any other installment loan. You receive a lump sum – which in your case you plan to use to pay off credit card debts, student loans, or whatever debt you are consolidating. In return, you’ll have a defined monthly payment for a certain number of months (defined includes adjustable rate mortgages where the rate changes predictably based on an index). A home equity line of credit (HELOC) acts more like a credit card. Instead of a lump sum, you receive access to a line of credit that you can use as needed. If you plan to use a second mortgage for debt consolidation, you generally want a lump sum loan. HELOCs are more useful for variable needs over time, like financing a home improvement project. However, it is possible that a HELOC is best for you based on better interest rates and other terms. Research your offers and use online calculators to make your choice. 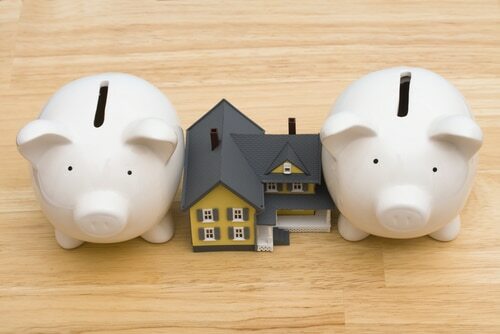 Note that the term “home equity loan” can refer to either a lump sum or a HELOC. Make sure that you fully understand the terms of any loan before committing. Why not just stick with a single mortgage and refinance your original mortgage? That’s a reasonable alternative to a second mortgage for debt consolidation, especially if you are consolidating relatively large debts and have a lot of home equity to work with. To consolidate debt with refinancing, you need what is known as a “cash-out refi.” The new loan allows you to pay off the old mortgage and receive the equity you have (the value of your home minus what you owed on the old loan) as a lump sum. You can then pay off other debts with the proceeds. A cash-out refi usually offers a better interest rate than a second mortgage, but it may be more difficult for you to qualify for a cash-out refi. A second mortgage for debt consolidation offers two primary advantages – you can usually borrow a significant amount of money since your home serves as collateral, and the interest rates on a second mortgage are typically lower. There’s no advantage to consolidation if you don’t receive a favorable interest rate that covers your loan costs. The obvious downside of using a second mortgage for debt consolidation – since you are using your home as collateral, you are putting your home at risk. If you are consolidating an unsecured credit card debt to receive a better interest rate, be completely sure that you can make the payments on the consolidation loan. Failing to make payments on a credit card can ruin your credit score, but failing to make payments on a second mortgage can cost you your home. (Note that the same argument applies to refinancing your primary mortgage). Be sure to compare closing costs and other fees when comparing different types of loans. Online calculators are available to help you fully evaluate your options. What happens if you don’t qualify for favorable loan terms? Programs are available to help, such as a consolidation plus loan designed to help those having difficulty finding suitable debt resolution help. These loans may require enrollment in debt counseling and resolution programs and could contain other limitations – but when you are looking to control your debt, it’s wise to look at all available options. A debt consolidation second mortgage can serve as a financial “reboot”, allowing you to close out a high-interest debt and combine it into a single debt stream with a preferred interest rate. However, unless you establish a realistic budget and control your spending to avoid racking up another large debt, you’ll be in even worse shape than before the consolidation. It’s highly unlikely you could get a third mortgage – and if you could, the terms would probably be financially painful. A second mortgage for debt consolidation gives you an opportunity to apply structure and discipline to your finances. Don’t squander that opportunity.